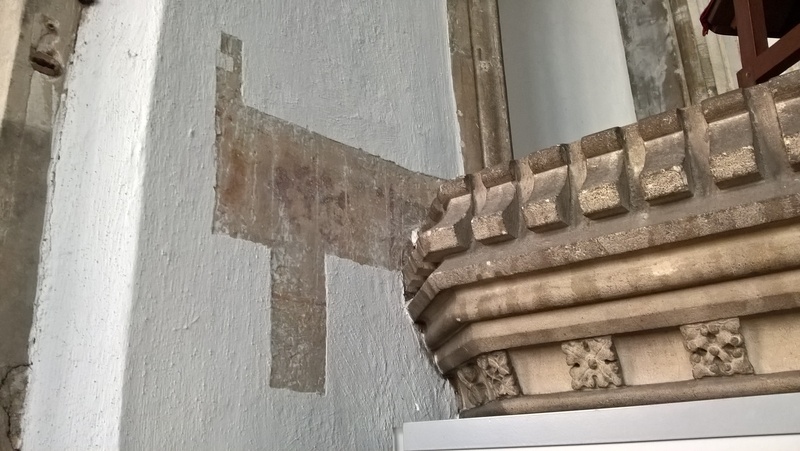 The church of St John the Baptist, Bristol, also known as St John on the wall, is today more intimately associated with vibrant modern graffiti than with the tiny details of the historic kind. 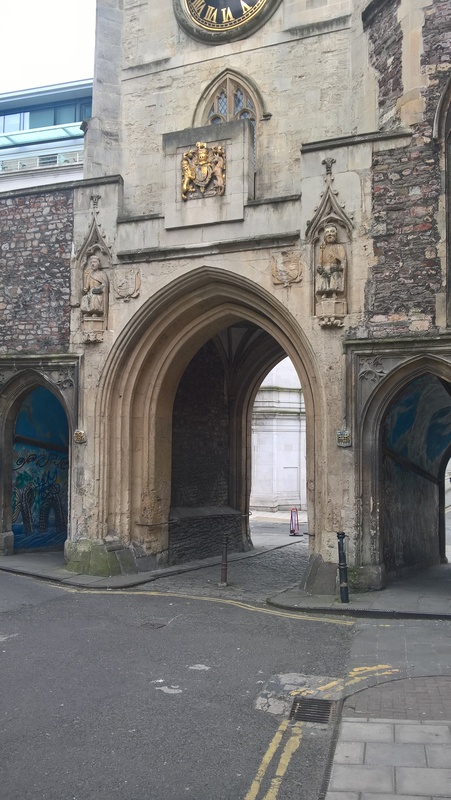 The structure incorporates the last surviving medieval city gate, and with its companion, St Lawrence, which stood to the west and shared the tower, were two of five churches which formerly guarded the entrances to the small medieval city. 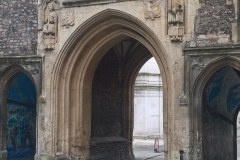 The gate itself was secured by a portcullis, the grooves for which can be seen overhead in the central gate arch, and which was operated from the room above in the shared tower. 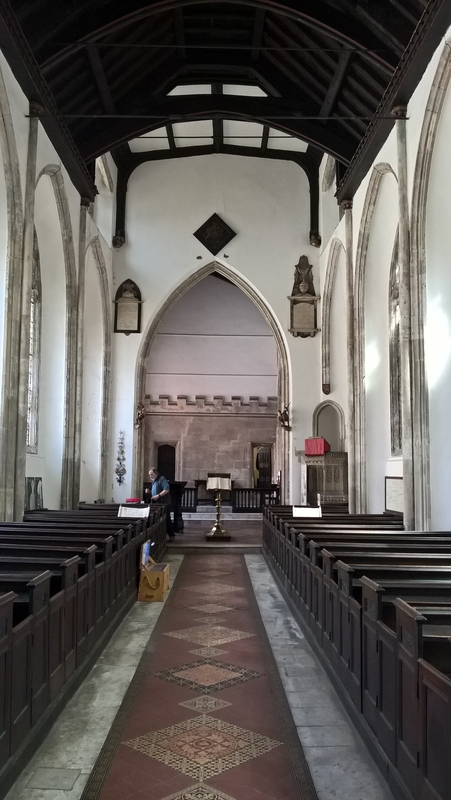 The church of St Lawrence was demolished in 1580, following the Reformation, but St John survived as a parish church until 1984 when it was closed by the Church Commissioners. 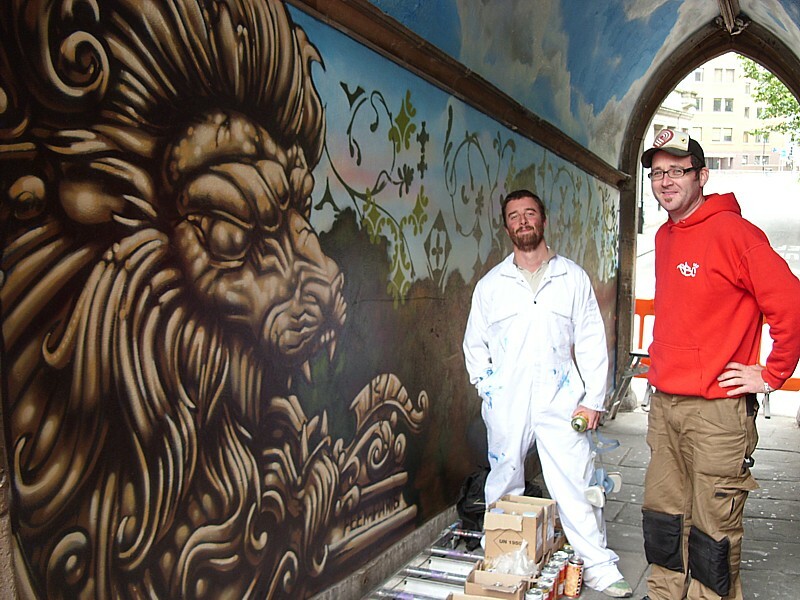 It is now in the care of the Churches Conservation Trust, who in 2008 commissioned a vibrant graffiti art mural for the inner tunnels of the gate, now rapidly becoming obscured by additional graffiti. 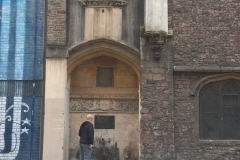 The main body of the church sits on top of the medieval wall, allowing a spacious crypt below, at only slightly below the current street level. 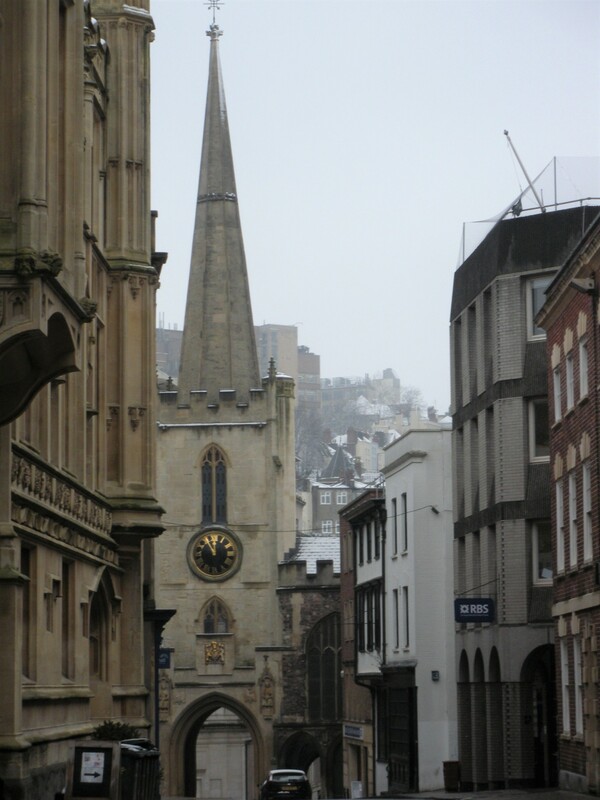 Access to the church is from the south side, while the entrance to the crypt is from the north, originally on the outside of the city wall. 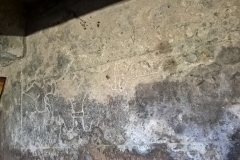 At the east end of the north wall, a short distance from the crypt door, is the site of St John’s conduit, now disused but still clearly visible. 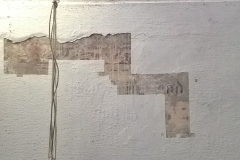 The current structure is 19th century in date, and replaces an earlier outlet on the south – old city – side of the building. 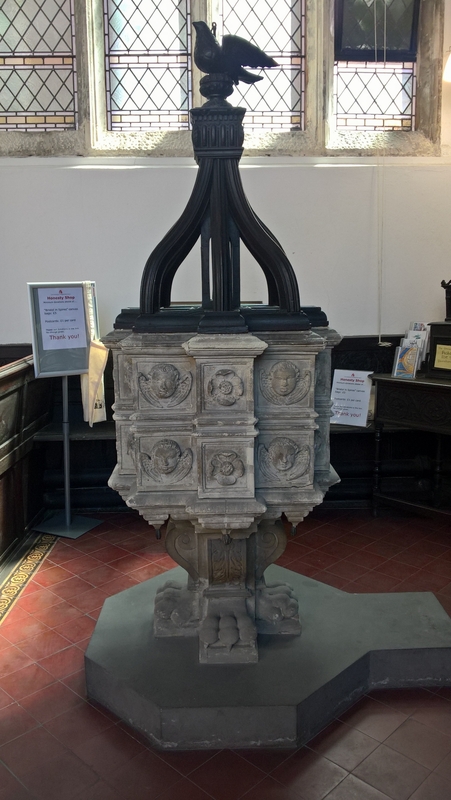 The conduit, which brought water to the city from springs on Brandon Hill, was established early in the medieval period and continued to function until the late 20th century, providing in its time much needed fresh water during the Bristol blitz. 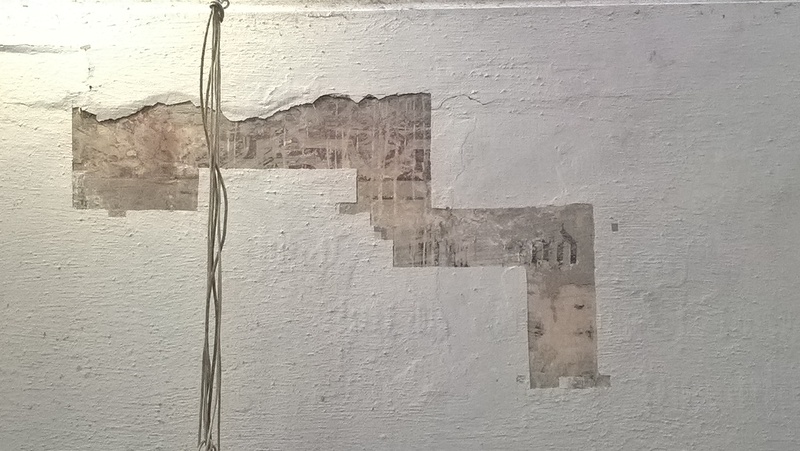 Works in the city have since disrupted the flow, which has not been re-established. 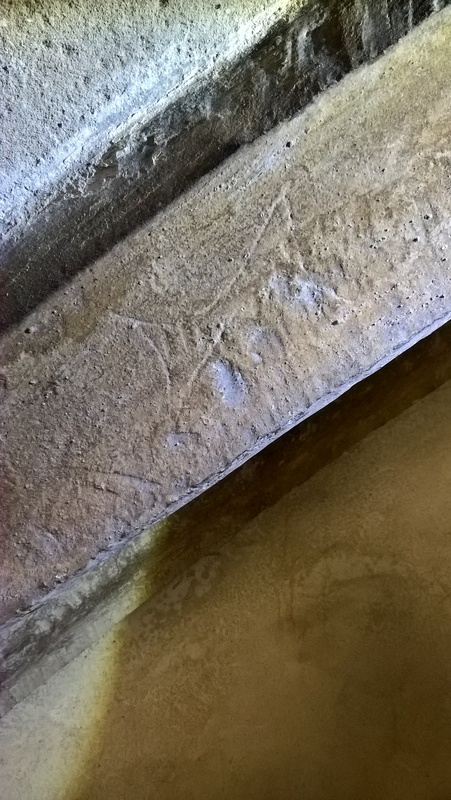 St John the Baptist is first mentioned in records dating to 1174, and is believed to date to around 1100. 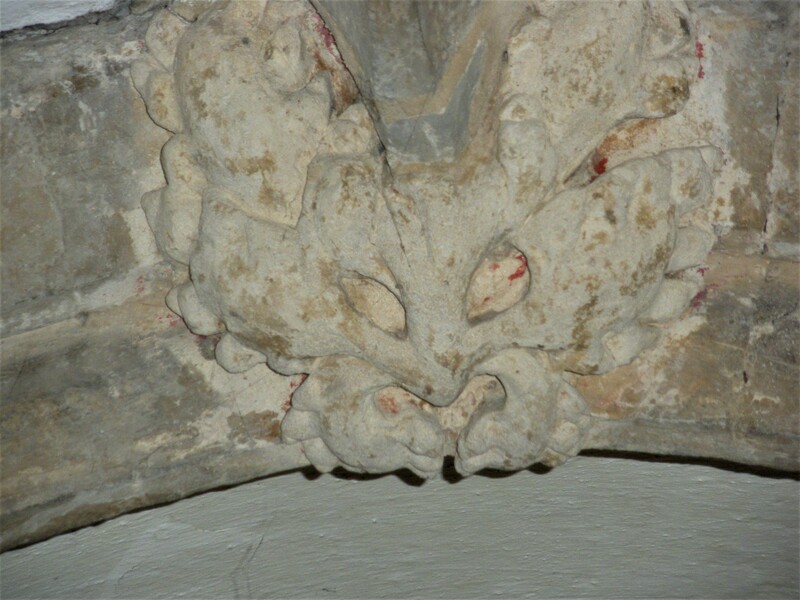 The currently visible structure consists of a largely 15th century church on top of the 14th century crypt, both having been modified over the years, with the majority of the currently detectable changes being 19th century. 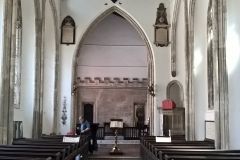 The interior is airy and light, with large widows to the north, sprinkled with odd fragments of various coloured replacement glass – a witness of blast from the city centre wartime bombing. 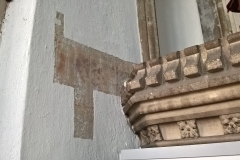 Scraps of medieval wall paint survive in locations around the building, exposed where the more recent paint has peeled away. 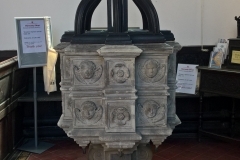 The communion table is a good example of 17th century woodwork dated to 1635 and incorporating a figure of Mary Magdalene, holding the attribute of a covered jar and exposing one leg – references to her jar of costly perfume and to her suggested role as a fallen woman. 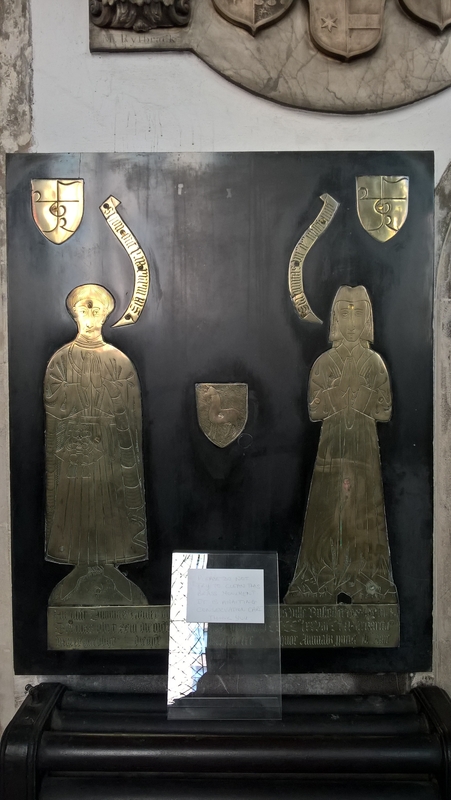 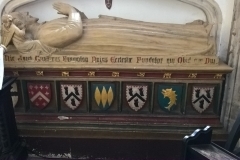 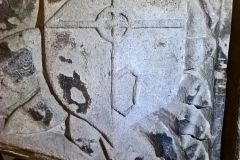 Among the monuments in the church are a wall tablet, the Rowley Brass, to Thomas Rowley d.1478, with inscribed figures; a table tomb to Walter Frampton, a major benefactor of the church who died in 1388, in an arched recess in the chancel, and a wall tablet to Andrew Innys (d.1723) signed by Rysbrack. 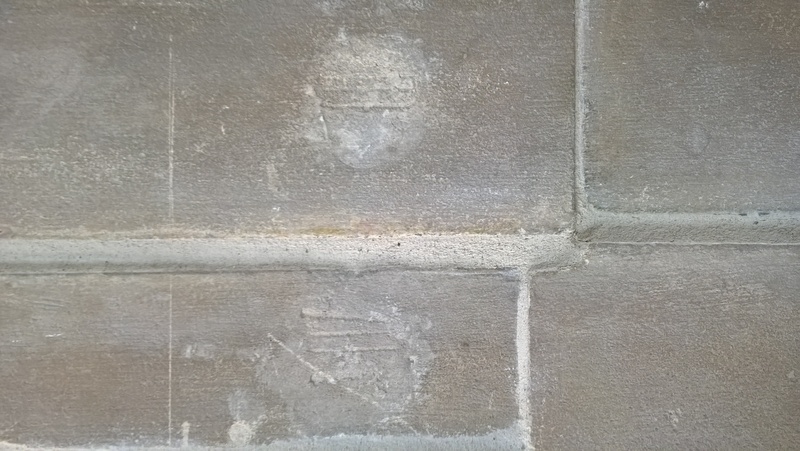 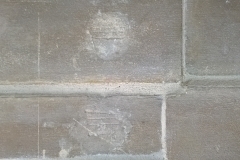 The sole graffiti in the church comprises a number of score marks on the north wall. 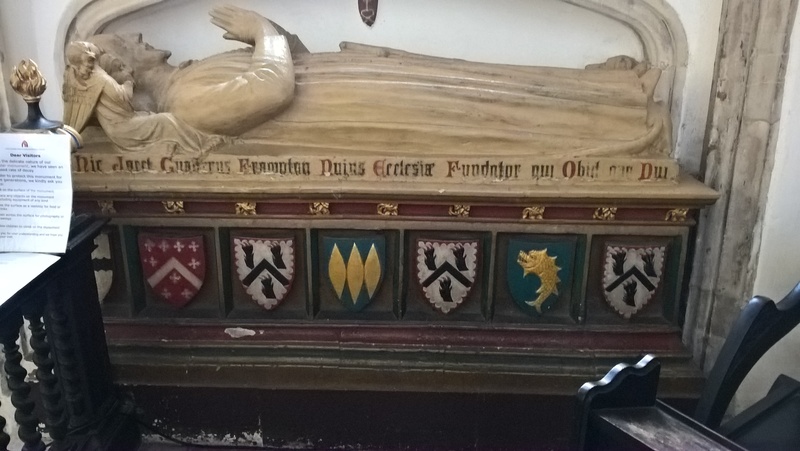 The crypt is unusual in being much more decorated then might normally be expected, which reflects its long time use as a chantry chapel and as a chapel of the Guild of the Holy Cross. 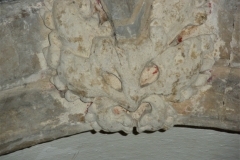 The roof is ribbed and has some very fine decorative bosses, easily seen from floor level. 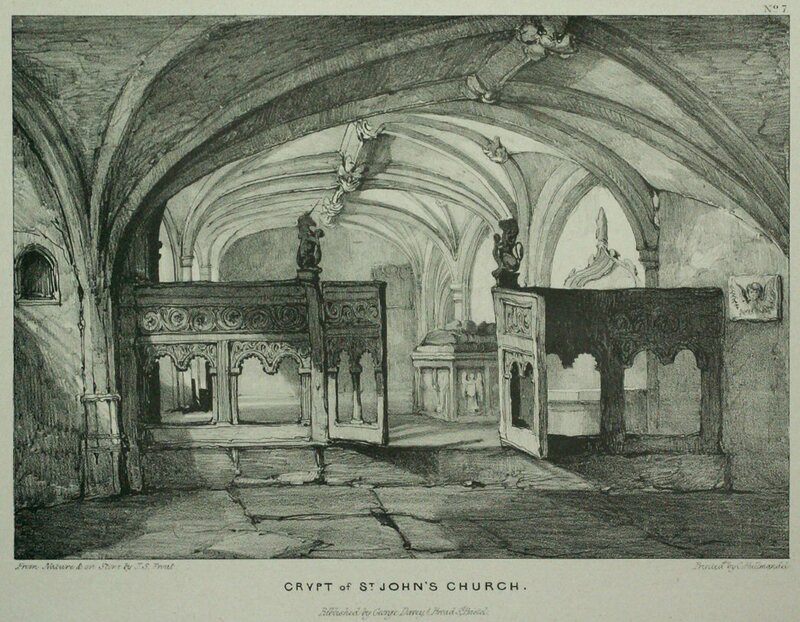 The entire crypt was reordered in the 19th century, when two bays were added at the west end (now used as storage) and the floor levelled. 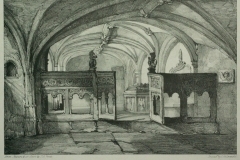 The wooden screen depicted in an illustration from 1835 was cut down and parts survive as reading desks in the church above. 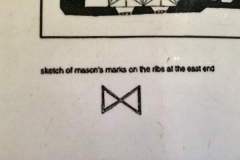 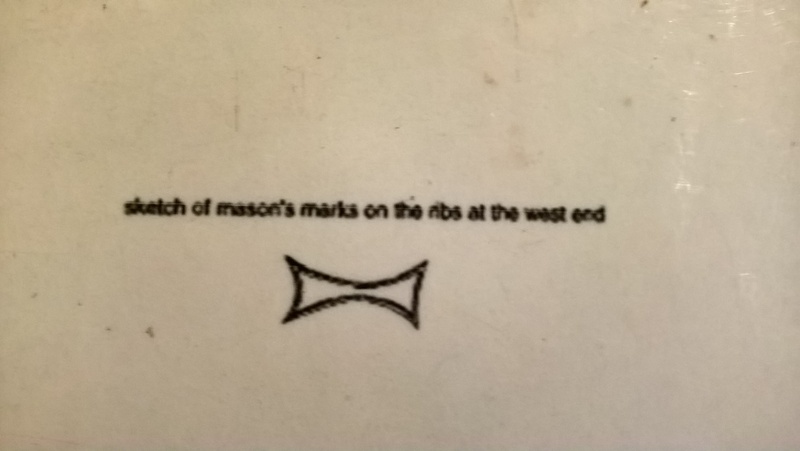 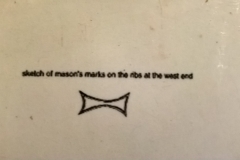 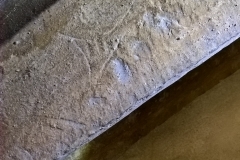 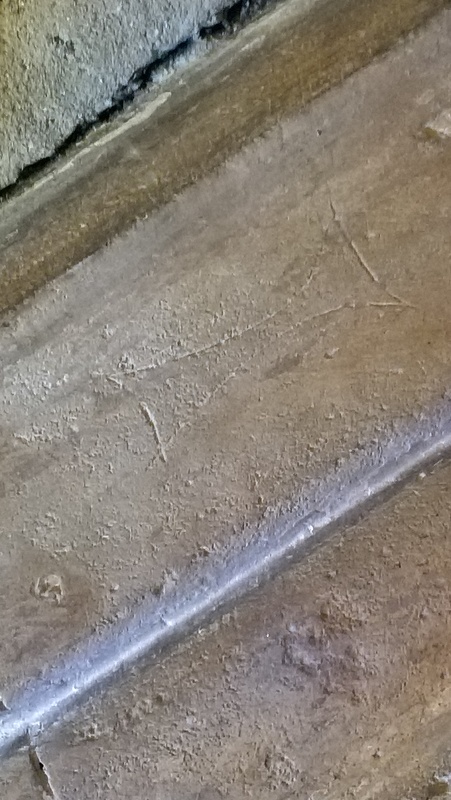 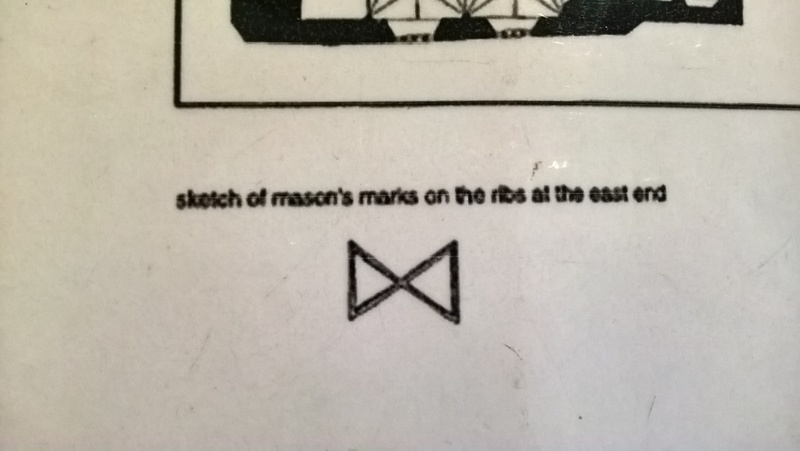 The detectable graffiti at St Johns seems to be almost exclusively situated in the crypt, and comprises a repeated series of dog-bone shaped incised marks, quite possible stone mason’s marks, and one clear butterfly mark – which the guidebook also suggests may be a mason’s mark. 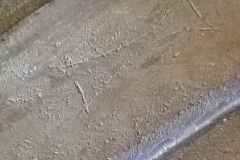 All the marks appear on the rib vaults of the crypt ceiling, which is low enough for easy inspection. 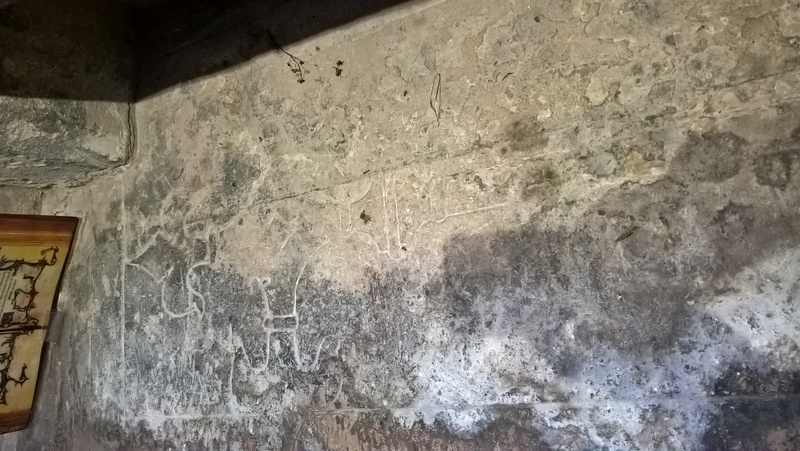 The final item of interest in St Johns has to be the merchant marks on several of the grave slabs and tombs. 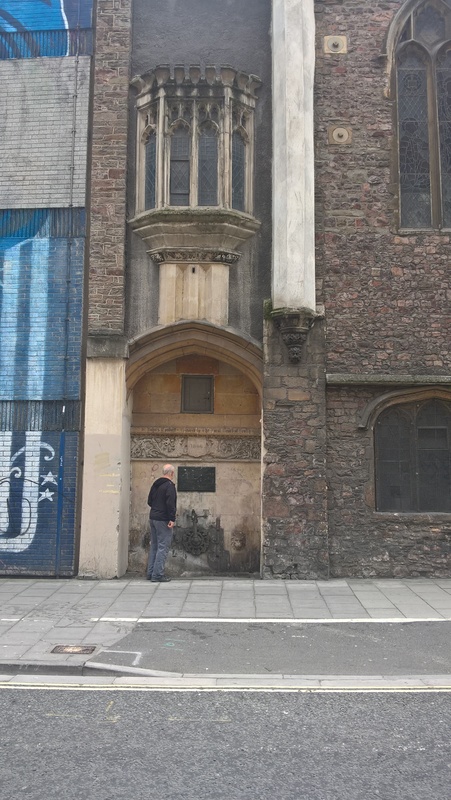 As a maritime city Bristol more than anything else was a city of merchants, many of whom made considerable fortunes and were deeply proud of their achievements. 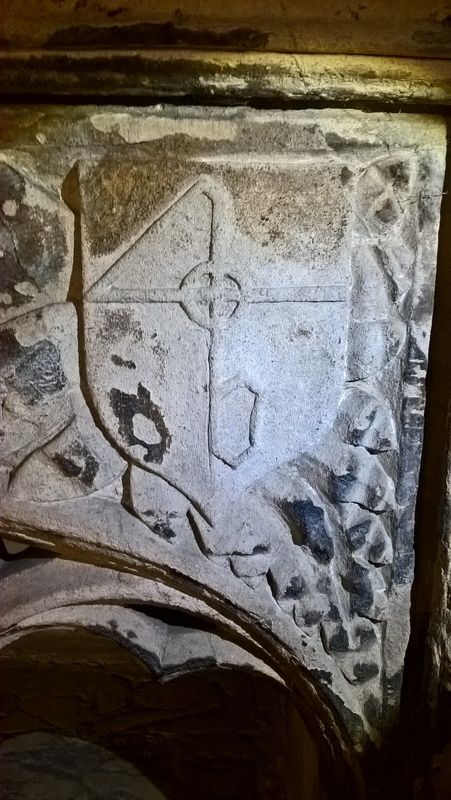 The merchant marks, which often incorporate symbols representative of religious piety, were the signs of ownership that they stamped on their goods and the mark, in lieu of coats of arms, that they emblazoned on their possessions and on their tombs. 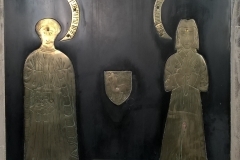 Report by Rebecca Ireland with pictures by Linda Wilson.